I suppose at some point I will have to read the book. Time is limited, though, and we try to focus on things that work, rather than things that don’t. If Offit wonders why it is so hard to get his message out, maybe it is because much of what he writes seems to be slapping down ideas that are already disproved, rather than helping to promote ideas that show some promise. If it is a multi-billion-dollar industry, it can’t all be driven by a single person. 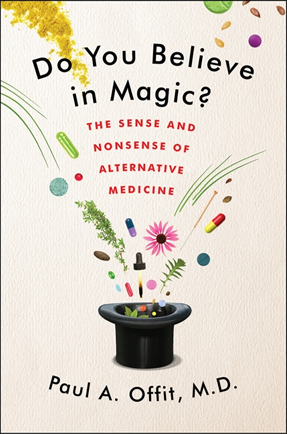 I understand that she is the most famous person pushing some alternative treatments, but in all fairness, we looked into dozens of ideas, and we tried to judge each one based on whether the evidence seemed convincing. At no point did we ever say: “Oh, yeah, we read about this in Jenny’s book…” When I read articles by Offit, he usually comes off as sincere and concerned. I have never noticed an obsession with Jenny McCarthy. But every time I read a review of his books, that name pops up again. I completely understand that it is sometimes necessary to keep kicking at an idea that has been debunked. Some bad ideas are like zombies; they keep coming back even after you have killed them twice. But other ideas are like “Brand X” in the old commercials. They become more famous from the insult than they would by just leaving them alone. For those of you too young to remember, American TV commercials used to always compare their product to “Brand X”. In study after study, scientists would always prove that Tide worked better, or Coke tasted better, or Wrigley’s lasted longer than “Brand X”. The reason they don’t run commercials like that any more is that about 17% of the American public was still willing to buy “Brand X”, and actually went around looking for it in grocery stores. They just assumed that if 5th Avenue was willing to spend millions of dollars insulting Brand X, that Brand X must be pretty good. Offit would do well to remember the fact that people went out shopping for Brand X. In some cases, they were willing to pay more. Why is that, do you suppose? Go ahead and ask him. He doesn’t focus on Jenny McCarthy solely. Not in this book (autism is only one chapter) and not even in False Prophet nor Deadly Choices. But she is the most prominent driving force in popularizing alt-med in autism this past decade. And, like so much of alt-med, it is driven by celebrity. Alt med is a multi billion dollar industry. It’s not just autism. Read the book. The “brand X” mentality is a major selling point for alternative medicine. It’s a theme used by practitioners from cancer to autism. “Here’s the medicine the doctors won’t tell you about–but they save it for themselves”. Dr. Offit is quite aware of that tactic. And so are those selling alt-med. That’s not a new observation. Sorry to say I still have not read the book, so can’t add much to the discussion. I read a preview, and, (just as the people he is railing against), it was just a series of anecdotes. I completely understand that alternative “medicine” companies use magic tricks to fool people to try the snake oil. That is how snake oil works. I still believe, though, that the best way to counter those magic tricks is dispassionate science, not emotional attacks on the magicians. For the time being, at least, I will be spending my reading time at the NIH NCCAM (and a few similar sites) rather than reading up on the latest arguments between Dr. Offit and Dr. Oz. This statement is incorrect. He rejects CAM like this because the science has shown they are not effectual. NCCAM may claim that there was some benefiti to chelation, but the chelation trial was less than convincing. The science -at that time- showed it would not be effective. The science now, at least in the case of glucosamine, suggests that it is effective. Not for everyone, but surgery is not effective for everyone either. The science for chelation is a mixed bag. 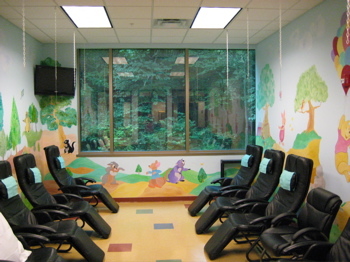 The study for heart patients was a different animal than the study done for autistics. The implication is that chelation might help heart patients, but not autism. Treatments used off-label can be dangerous and foolish. But that is not the same as saying the treatment itself is foolish. Hope doesn’t hurt? Sure. But false hope does. Consider Jude Jordan, Alex Spourdalakis, Katie McCarron and others. The alt-med community often presents itself as the only source of hope. Those who don’t belong don’t have hope. I believe that society can be modified to support people like my kid out of respect, not out of fear and pity. If that isn’t hope, I don’t know what is. From a scientific point of view, the highest correlation is mental illness in the United States. Particularly Postpartum Depression. It is an accepted cultural practice, still, in some subcultures across the globe. There is no evidence, what so ever, that the frequency of Filicides is higher among autistic children and autistic parents, than any other demographic. It would not be surprising if there was some correlation, as androgyny in females has been correlated with ‘higher functioning’ autism and postpartum depression is correlated with higher than normal levels of androgens in some women. It doesn’t take a ‘rocket scientist’, to observe the higher than average androgynous features of mothers of children on the spectrum. There is a correlation of testosterone levels and the instinct of nurture. One can not blame that on Autism Speaks, or the other organizations that are fighting to help children more severely impacted on the spectrum. I am suggesting that you are, but many people do. If one did that it would be woo, too. That is a myth entirely generated by some segments of the ‘online Autism Community’. I have pursued that topic, in detail, and have references to back up what I am saying. I am currently pursuing ‘the science of synchronicity’. It was only by ‘coincidence’, that the words here compelled me to post, my little off ‘topic’… ‘rant’-post. Anecdata won’t fly here, sorry. Yes, I would also like to see your evidence that parents of autistic (or otherwise developmentally disabled) children do not kill their children at rates any higher than parents of non-disabled children. Until that happens, I will give you this: Even if the rates of filicide are the same between the two groups, in only one of those instances do people generally sympathize with the killer over the victim. I don’t know how, or if, this affects sentencing, but it definitely tells every other autistic person just how much the rest of society values us. Which is not very much. I also think very little of your “skepticism” if it will allow you to believe in synchronicity but not in ableism. The mantra of a murder apologist. For the longest time Kate Mia you have been a well known concern trol. You pretend balance whilst pushing an agenda that insists curism is right, protects the crimes of autism speaks, shield anti-vaxxers from criticism and in general wind up and agitate autistic equal rights activists until you get a reaction from them. Your latest escapade in to diminishing the murderous beliefs on anti-vaxxers with the glib phrase ‘filicide happens’ is just the lowest descent your apologism has ever gone. Your latest attempt to deflect blame from it seems the violent and almost genocidal intent of anti-vaccine conspiracy theorists and hate groups such as Autism Speaks is just another blatant example of why you have never and will never help Autistic people. For the longest time you have pranced around using studies as the basis of all truth. Yet you conveniently forget any scientific evidence or constantly demonstrated facts that disagree with you and will only ever recognise the often biased ‘conclusions’ of scientists involved in poor quality studies. The constant repetition in the news of the same incident of a parent murdering their autistic child that the murder rates of autistic children by parents (especially with curist or anti-vaccination tendencies) is higher. My husband and I attended Dr. Offit’s seminar at the Cold Spring Harbor Laboratory on June 8, 2013. (We arrived early to take seats in the second row of the auditorium to see Dr. Offit close-up…and to observe if a particular someone from Age of Autism, the “stalker”, would attend). The “stalker” was a no-show. Your question about Jenny McCarthy is “interesting”, Dave. If you have been following Matt Carey’s posts and the posts of other science bloggers, IMO, you would have her history of pimping out her son’s developmental disability for the sake of reviving her fading-fast career as a “celebrity”. You would know that J.B. Handley was looking for a spokesperson for the organization that he and his wife founded, Generation Rescue. You would also know about the incestuous interconnection between Generation Rescue, Autism One, Age of Autism, Wakefield’s Strategic Autism Initiative and his Autism Media Channel…as well as their collective political party, The Canary Party. I suggest Dave, that you educate yourself about McCarthy’s “activism”, before you have that meet-up with Dr. Offit. One question I posed to him was simply, why does he stay at a teaching hospital? Given his successes, he could do pretty much anything he wants. His answer boiled down to simply–he is doing what he wants. I noticed that the proceeds from the book are all going to the Children’s Hospital of Philadelphia, just like the proceeds from his two previous books went to real autism research. It is lovely that he can do what he wants, especially since he is a very good writer. I can’t comment on this book, but his previous books have been very good reads. Especially his biography of Maurice Hilleman and the one on the Cutter incident (where he actually admits vaccines cause injury, oh no! Alert the presses!). Apparently Autism Speaks believes in the magic of ‘Translational’ medicine. They fired Geraldine Dawson and replaced her with Robert Ring as the new Chief Science Officer. Ring’s history is working for the giant pharmaceutical giants Wyeth and Pfizer. Look for Autism Speaks to establish new partnerships with the giant pharamceutical companies promising miracle cures that are just around the corner and they will be recruiting desperate parents to try experimental drugs on their children..
medicine, none that I can see other than translational medicine is far more dangerous than alternative medicine. What is “translational” medicine? Can you define it? And please provide examples on how it is dangerous. Because if I don’t understand the vocabulary, I cannot access the relative danger of a modality. And even in “alternative” medicine you have to be specific on whether or not you are talking about chiropractic, chelation, or homeopathy. Totally agree with you.There is good medicine and bad medicine. These made up categories are absurd. Translate what to whom? This is not filling me with confidence when someone uses a term like “translational.” So, yeah, I need a verifiable definition. They seem to have their own definition. II would need more solid examples of how it is harmful that someone’s random claim. But it would be more of a wait and see, and has absolutely nothing to do with Dr. Offit’s book. Translational medicine is the term used to describe the effort to advance proof-of-concept studies to clinical trials. Unlike alt “therapies”, investigational drugs are tested for safety and efficacy in animal models and the FDA regulates this work to safeguard patients. Clinical trial participants are given full disclosure about the drug’s known safety in the informed consent. Of course there may be unknown risks, but particpants are made aware that they are advancing medicine and that can come with risk. There are no promises or false hope. With alt “therapies” the efficacy has never been evaluated and often the safety profile in unknown. It is absurd to suggest that the backbone of medical research is equivalent to quackery. Which, I will note again, has absolutely nothing to do with Dr. Offit’s book. Which the library claims it has received, but it has not been sent to any of the over fifty who have holds on it! This is a very well-written and researched book that highlights much of the bad science and downright quackery that afflicts autism research. Of course it will get the negative reviews from Wakefield acolytes who will not want parents of autistic children, of whom I am one, to read it. The main problem for this book though is that many who hold to the vaccines/thimersal autism link will never be convinced by any amount of rigorous science, some of these genuinely believe in these unfounded theories but there are many who have a vested and financial interest in promoting unfounded and discredited hypotheses. This book represents an important antidote to all this and the author is to be commended for his bravery and honesty in writing it. My only quibble with it, hence four instead of five stars, is the author’s over-confidence in the probity of the pharmaceutical industry generally. Recent cases, most recently the huge fine imposed on GSK for poor manufacturing practices at it’s Puerto Rico plant shake public confidence in this industry. As the old saying goes: “Follow the money”. The whole area of autism is sadly afflicted with quackery and chicanery and with parents desperate to believe in anything, it is likely to remain so until the true causes, genetic and/or environmental, are known. In the meantime, parents need to be able to distinguish good science from bad and this book is certainly instructive in this regard. Uh, no. It’s magic. There is no science here. In any case, this case is almost certainly an example of confusing correlation with causation. We have no way of knowing for sure whether Princess would have had the same “miraculous” recovery in less than a month if nothing at all had been done. Almost certainly, she would have, because acupuncture is worthless and there’s no evidence that it is anything other than an elaborate placebo. In essence, what we’re observing here is exactly the same thing we see when parents mistake the proximity of regression or onset of first symptoms of autism in their children to vaccination as meaning that vaccination caused it. When you have an N of 1 and relay on personal experience, for all the world it can look as though that vaccine caused autism or, in this case, that those acupuncture treatments healed Princess. Vaccines don’t cause autism, and acupuncture doesn’t result in miracule cures. However, you’ll never convince the antivaccine parent of an autistic child that the vaccine didn’t cause that child’s autism, and you’re just as unlikely ever to convince Princess’ owner that acupuncture didn’t heal Princess of a potentially fatal injury. In any case, if I might be allowed to speculate briefly, what sounds like what happened to me is that Princess suffered a significant closed head injury, which wasn’t enough to kill her but did render her lethargic and poorly responsible for several days to a couple of weeks. Now, closed head injuries that can heal will heal on their own with the tincture of time, while those that can’t won’t. In retrospect it’s obvious that Princess’ injury was one that was survivable and from which she could heal on her own, no acupuncture needed.